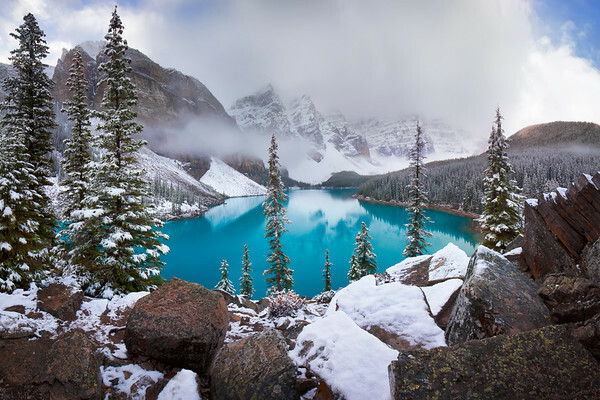 While not my usual stomping grounds when it comes to landscape photography, I couldn’t resist photographing Moraine Lake in Banff with a blanket fresh snow. There is only a short window each year to capture this before the road is closed for winter and the lake freezes over. With how beautiful this place is, I can completely understand why busloads of tourists flock here and why this is the most photographed location in Canada. 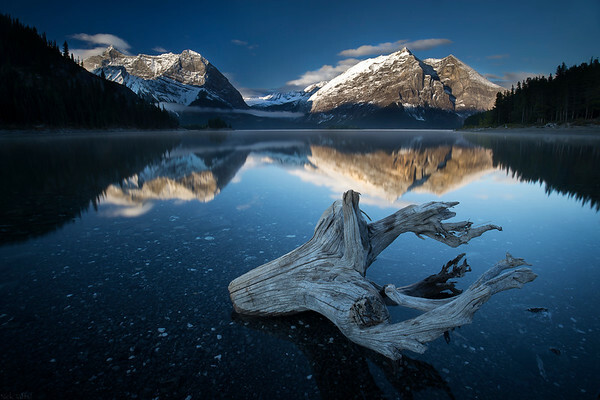 In regards to tourism in Alberta, Banff, and Jasper National Parks take the cake and for good reason. There are countless pristine lakes and glacier covered mountains, with guided tours and all of the comforts one could ever imagine. With all of the hustle and bustle in the national parks, it is surprising that Kananskis, which borders Banff, sees only a fraction of the traffic of the National Parks, most of which are locals. 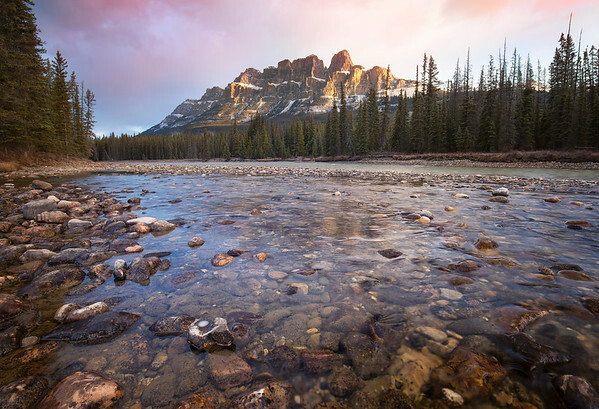 Kananaskis shares many of the traits of the big parks. 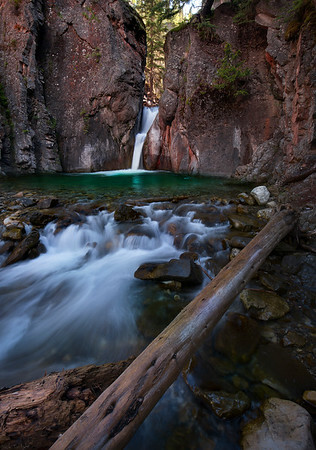 Tucked out of the way, this waterfall is only a short hike from the road. 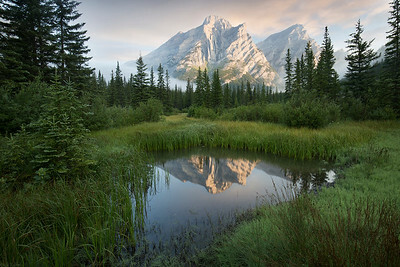 Gems like this are what make Kananaskis my favourite park to visit in Alberta. I have always found the Okanagan Valley in the interior of British Columbia to be strikingly beautiful. However, every attempt I have made to photograph this unique landscape has resulted in a struggle to walk away with any images that I am truly happy with. It wasn't until I spent a week in Vernon while attending a course for work, that I began to find all sorts of "off the beaten path" areas I have missed during all my previous trips to this region. 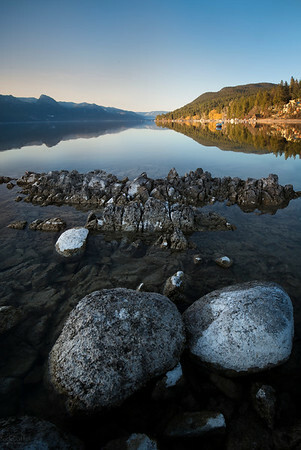 Lining Okanagan Lake, the sandpaper-like granite slabs have a tendency to reflect a warm glow revealing their textured surface well after the sun has fallen below the horizon. This is truly a photographer's paradise. This experience has served as a reminder to break away from the routine I tend find myself in of continuously photographing what's obvious, and try focus more attention on what makes an area unique. I have lost count how many times I have tried to photograph this location. For nearly two years luck was never on my side. Each time I set aside some time to stop here the clouds would completely cover Mount Kidd in the background. I don’t know why, but without fail if I drove ten minutes down the road it would be sunny and clear every time. I knew this photo would never be my best work, but for me there was something satisfying about finally capturing the photo I wanted with the added benefit of some smoke in the air from wild fires across B.C. to diffuse the direct sunlight. A Walk in the Woods - Whistler, B.C. 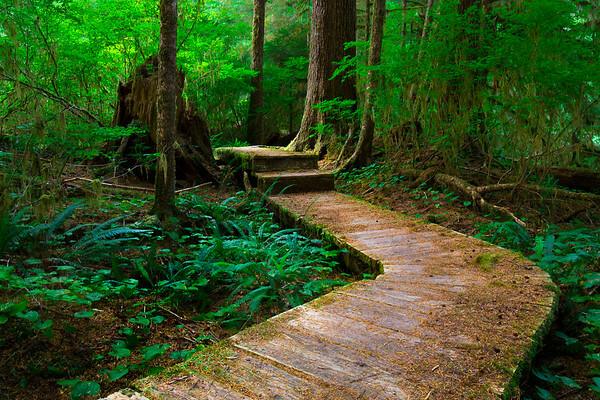 In the temperate rainforests of coastal British Columbia you can be sure to find plenty of scenic trails with well-worn boardwalks traversing the rugged terrain. 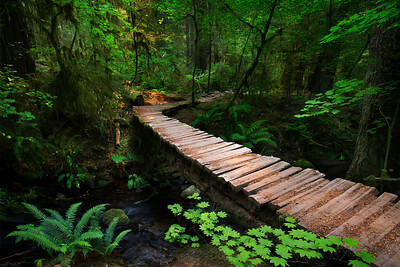 This particular trail is a long time favourite of mine near the village of Whistler. Each time I visit this location it has become a bit of bitter sweet for me. As I make my way home at the end of my annual coastal road trip, this marks the end of the temperate rainforest and the realization I soon will be leaving my paradise. I have been fortunate to walk away with a variety of photographs I am proud of at least. 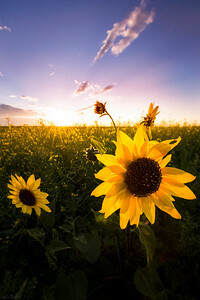 Driving home from visiting family, I noticed this lone sunflower plant poking through a field of canola. Each year, I am always surprised how scenic the prairies can be in July and August. 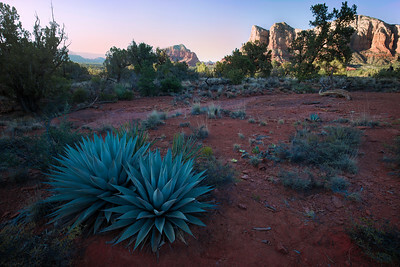 Sunset along the trails of Bell Rock in Sedona. 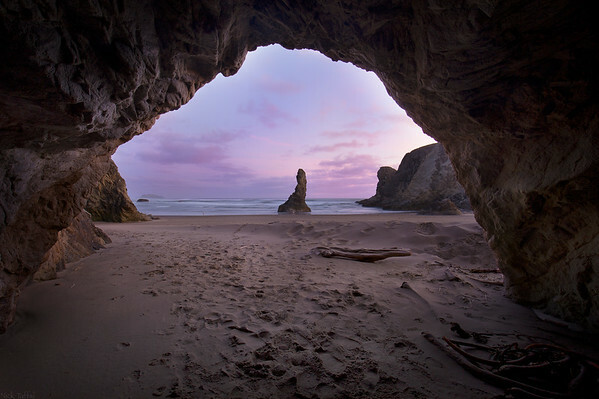 Along the coastal bluffs around Bandon Oregon, there is an assortment of caverns that have been carved out by the constant pounding of tidal waves. 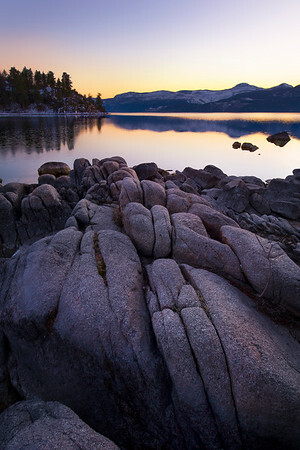 With the sun below the horizon, the textured rocks glow in the last light of the day. Departing from its headwaters in Bow Lake, the Bow River flows along the base of Castle Mountain in Banff National Park. 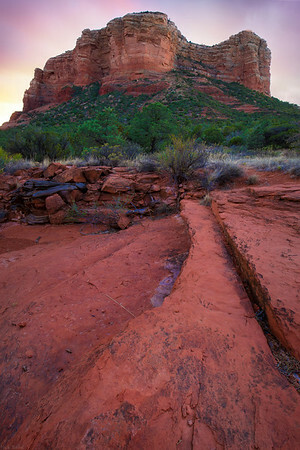 While hiking during my first evening in Sedona, I couldn't resist photographing this natural staircase I found at the base of Courthouse Butte. The sun had just set while I was taking this photo, and my gosh, I was surprised how fast it got dark. I ended up walking back in pitch black and getting lost a few times along the way since I only had the light on my cell phone. I learned my lesson hat night on the importance of being prepared. 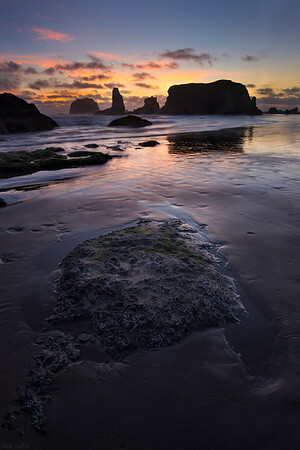 Shortly after making my way down to the beach I noticed a handful of photographers huddled around some sea stacks further down the beach with their gear scattered about, waiting for the perfect light. As the sun fell toward the horizon, it looked quite promising a spectacular sunset was developing. Eager to capture the perfect shot I set up quickly wiped the saltwater spray off my lens and started snapping away. With my luck, by the time the sun was just at the horizon a cluster of clouds had blown in from the north and completely blocked the sunset. After watching the last few people pack up and leave I had the entire beach to myself so I decided to stay and see if the light would change. Within ten minutes, the clouds cleared a bit and the colours of the setting sun were revealed. Sometimes patience is rewarded. The Kofa mountain range marks the northern edge of the Sonoran Desert in Arizona. 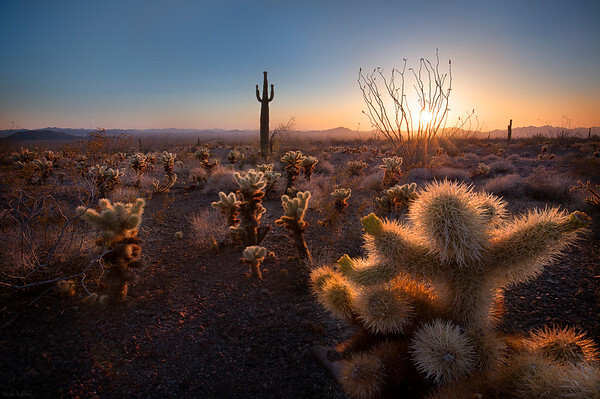 Cholla cactus and the iconic giant saguaro cactus dominate the landscape in this harsh desert. With weather conditions that rarely change, dramatic sunsets like this are the norm. 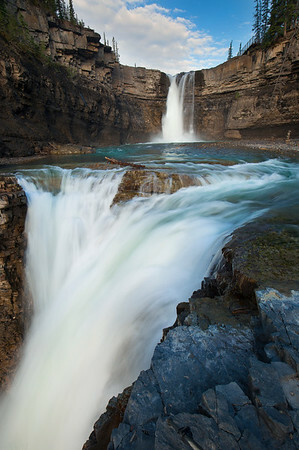 It is safe to say, Alberta boasts some incredible scenery. 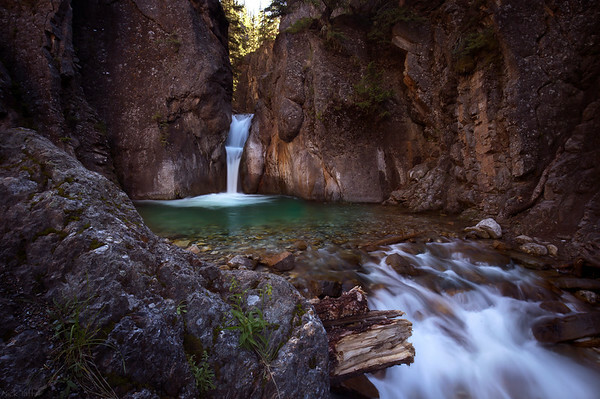 Located near the town of Nordegg, Crescent Falls is one of Alberta's lesser known places to visit, but is sure to impress anyone. The first light of the day is cast upon Mt. Lyautey on Upper Kananaskis Lake. I have come to the realization it is impossible to take a bad photo in this little canyon tucked away in the Alberta Rockies. While the subject is the same, there are so many different ways to compose a photo here and they all seem to work. That makes me happy. It’s amazing to think the constant pummeling of ocean waves are responsible for eroding this cavern found along the bluffs of the central California coastline. Across the entire Pacific coast of North America, the exposed rocks have been battered by the force of the tides over millions of years and the results have created some of the most dramatic landscapes this continent has to offer. 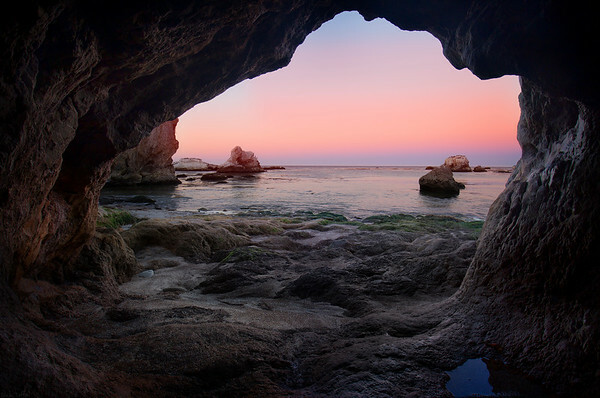 This cave was just one of many I found while wandering the shores near Pismo Beach. 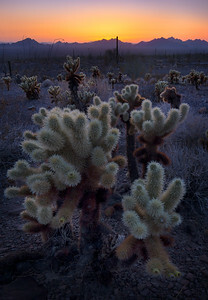 Even with the sun below the horizon, the spines of cholla cactus appear to glow as they capture the remaining ambient light from the setting sun. This is my favourite time to be in the desert. An eerie calm radiates through the desert. Insects and animals avoiding the heat during the day emerge from their burrows. What seems to be devoid of life during the daylight hours becomes a thriving ecosystem of creatures perfectly adapted for life in the desert. 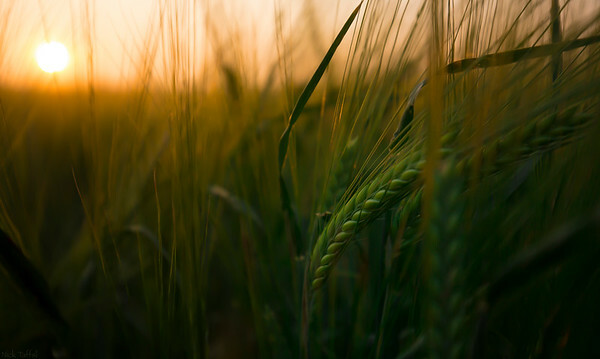 I took a quick minute before heading to work as the sun was just rising above the horizon to photograph the crops growing at a farm near my house in Airdrie, Alberta. The sky was filled with smoke from forest fires to the west, which gave the sun a beautiful amber glow. 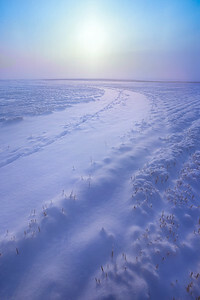 A snow covered sunrise in Southern Alberta. Carmanah - Vancouver Island, B.C. Deep in the network of logging roads on Vancouver Island is a small grove of giant ancient trees in a protected area called Carmanah Walbran Provincial Park. Accessing this park is not for the faint of heart. Several hours of extremely rough active forestry roads are the only way in. Once in the park you are rewarded with some of the islands oldest and largest trees. This image is just a typical view along the main trail through the park.